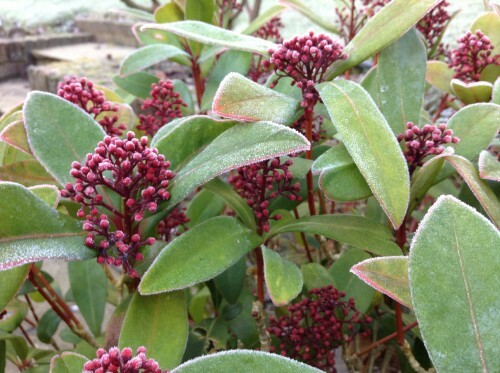 Skimmia providing colour in a frosty Uckfield garden. The weather has been very cold during the past month and, with a smattering of snow, much of the garden is looking bleak – it’s good for killing off slugs though. 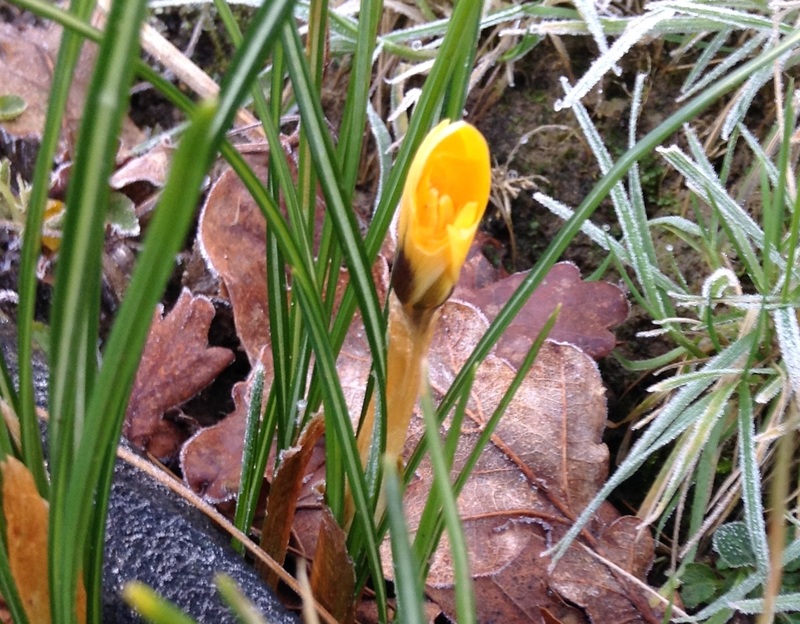 A crocus shows its colours in an Uckfield garden. A few flowers still persist in trying to bloom through this cold weather. 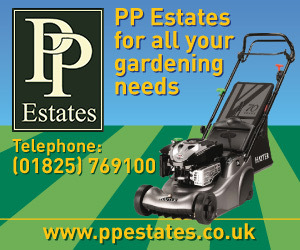 In particular the crocuses and primroses add a little splash of colour, writes the Uckfield News anonymous gardener. 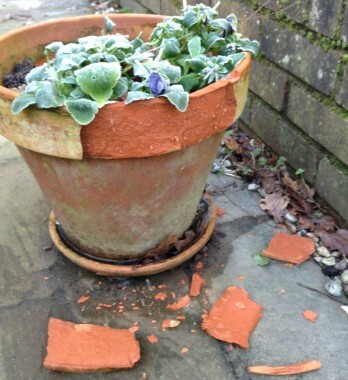 The cold weather has attacked a terracotta pot, breaking off pieces. This tends to happen to terracotta and ceramic pots because of freezing and thawing, so non-porous pots such as those made of wood or plastic can be more durable, though plastic ones still have the potential to crack. Freezing and thawing of water in this porous terracotta pot is causing pieces to break off. The main jobs in the garden have been clearing walled borders, getting rid of weeds and chopping back sedum. Along the border is an ornamental strawberry plant but its runners have gone absolutely everywhere and we have been pulling them out very carefully. Strawberry plants have even started to grow beneath the wall where there is a pebbled edge. They are very firmly rooted. If only the strawberries that grew from the plan were big enough to eat. 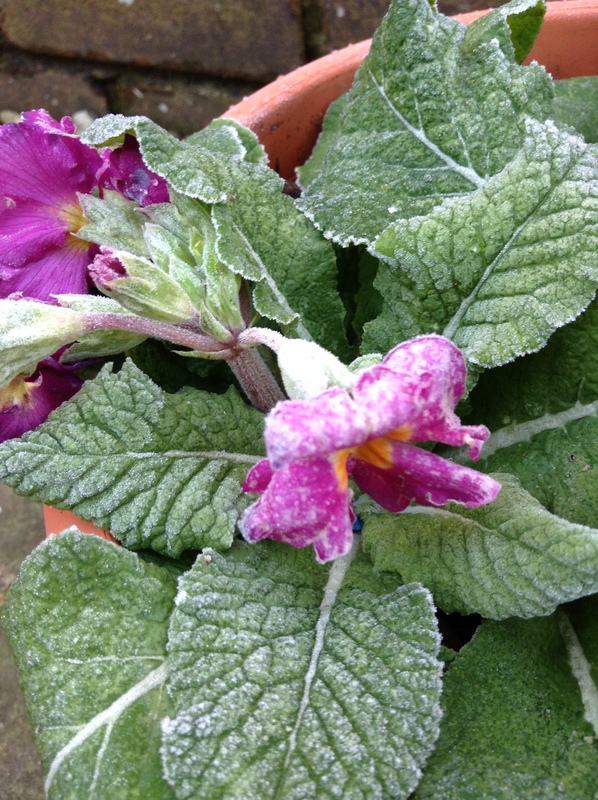 These primulas show signs of frost damage but they will recover as the weather warms up in the spring.